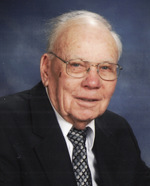 James C. Quade, Jr, 92, of Leonardtown, Maryland died peacefully on Friday, February 8 at St.
Webster Field for 46 years. He was a lifelong resident of St. Mary’s County and parishoner of St.
requests donations be made in his name to Hospice of St. Mary’s County, Leonardtown Volunteer Rescue Squad or St. ALoysius Catholic Church. To send flowers to the family of James Carroll Quade, Jr, please visit our Heartfelt Sympathies Store.